Christmas holds a lot of meaning to me for many, many reasons-- my wedding anniversary, my faith, the music, the annual unending hope for snow, the joy, and the knowing that another year is coming to a close for renewal in the weeks ahead. It's my favorite time of year. Even though the warm temperatures here in Hampton Roads are not mirroring the Christmas ambiance very well, we feel incredibly grateful in our kind of Christmas way. Tidewater and Tulle only just begun this month, and it's been incredible thus far with the local and beyond support. It makes the nights of staying up past midnight much more worth it to know it's touching people in a variety of ways, whether personal or practical. With that said, the blog will be quiet the rest of the week as we take time to spend with our loved ones and remembering our personal significances for the holiday. 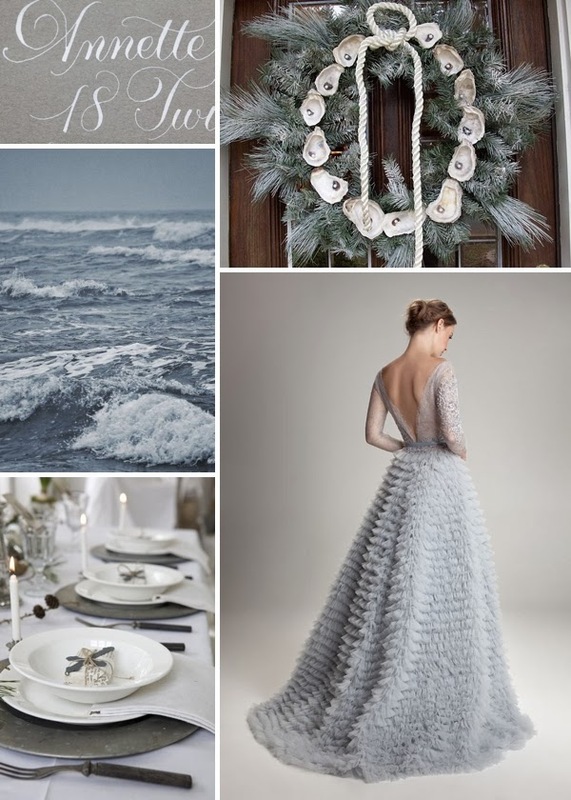 This inspiration board was featured on Hey Wedding Lady yesterday along with oodles of Hampton Roads Christmas goodness, so be sure to take a peek sometime. We wish you the best of holiday seasons, to many new engagements, and a three cheers for an amazing 2013. We will see you next Monday, December 30th for more real Hampton Roads wedding goodness!